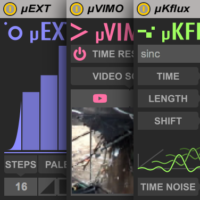 The µK Bundle includes three awesome Max For Live devices. 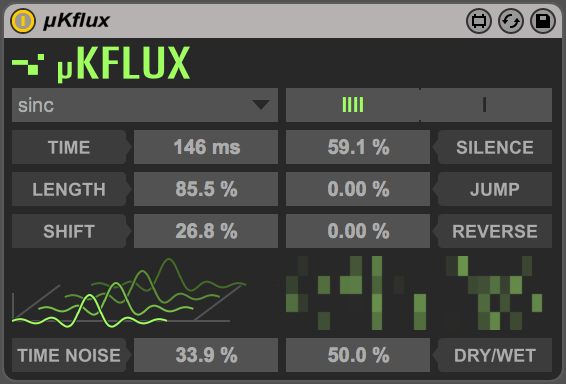 µKFLUX, an audio effect; µEXT, a modulatoreffect; µVIMO a video-based midi effect. You’ll have a lot of fun with these three small and smart devices! These µK babies are designed to work in Live, or in Max, always doing a great work! 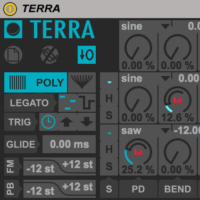 A smart and fast audio granulator, this nice effect is the evolutionfrom the “grains” effect included in our recently released polyphonic synthesizer TERRA. In this version you have four voices for an higher density of grains, more features and controls, and a nice graphic feedback! 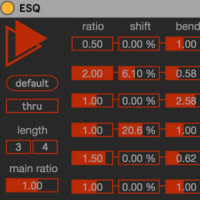 You can choose from several shapes to envelope your grains, set the time at which grains are triggered, a length parameter, and phase offset for grains, all this beautifully displayed by the user interface. Then you have some creative parameters: chance to get silent grains, jump, to non-linearly read the incoming audio, and reverse, that is the chance to backward read grains. With IIII/I switch you choose if apply these parameters exclusively to each voice, for richer textures, or with common values, for monolithic grains. This device is somehow a light version of one of our most successful products: EXT. 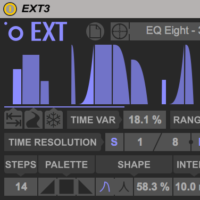 µEXT is an advanced step sequencer modulator. 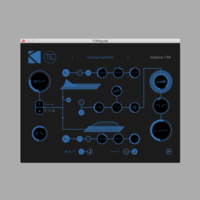 If you use it in Live, you can set any kind of parameter as target in Live, in a device, or even in a third party plugin. You choose the number of steps and the shape for envelopes (ramp up, flat, ramp down); you can set different shapes for each step! 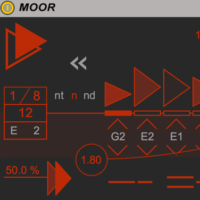 Then you set the time resolution and the amount of modulation. 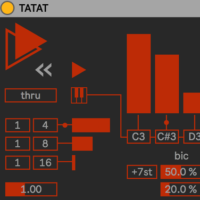 Enabling the CV toggle, µEXT outputs the modulation signal through the Live’s track, so you can use it to modulate also external equipment and hardware (a DC coupled audio interface is mandatory). 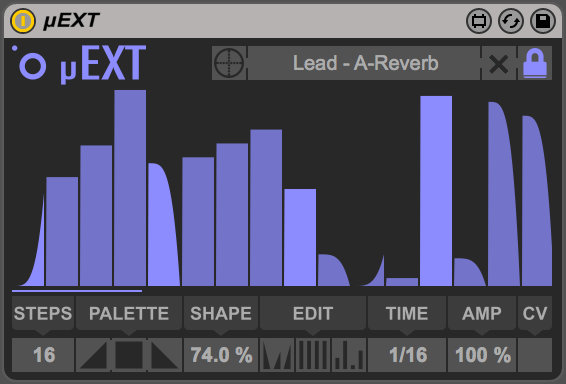 If you use µEXT in Max, you can use the signal coming from the outlet to modulate anything you want in your patch! 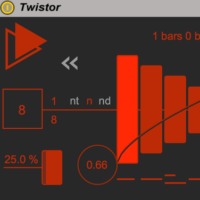 This MIDI effect is a video-based polyphonic retrigger. You load a movie file then you can use it as source to handle and generate crazy and always morphing streams of notes! You can influence the notes stream by applying visual effects to your video source: still sets the chance that the video is kept frozen during some frames, less reduces the luminance on each video cell, amp acts as global opacity. With hold you choose how many time the cursor should stay on the same cell. Once you did your video manipulation, and you set the time resolution, you can use bipolar dials time and vel, to let video data affects the retrig frequency and velocity! 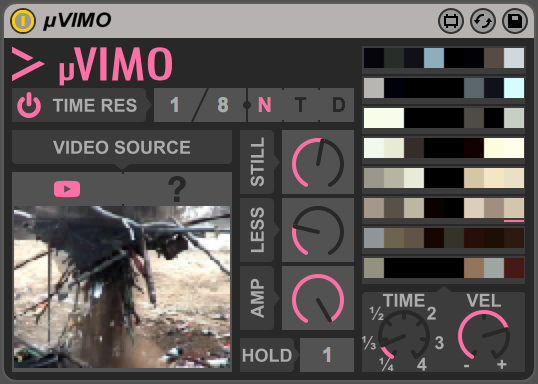 µVIMO is really nice to create unpredictable arpeggios and more. Try using more than an instance to trig percussive content to get stunning intricate patterns. 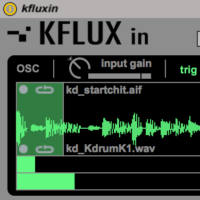 If you own a Max or Max For Live license, to get your hands on these three it’s easy: just update to new Max 7.1 (free update), go to Package Manager, then click “install” on µK bundle!